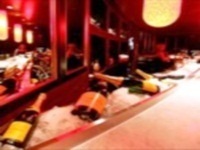 If you are looking for a night out but want something more intimate than a bar or club, check out a lounge located in MA. Enjoy your night out but still feel relaxed and comfortable. We provide you with an in-depth guide to the best Ma lounges to spend an evening at. This is a trendy lounge that allows hotel guests and those who just happen in to meet-up within a funky world complete with pieces of all of the natural elements. An intimate urban garden with expansive ceilings, the W Lounge is a bold, nature-inspired world of water, fire and earth elements. Music pumps throughout and dancing is encouraged, but for those who simply want to sit and take it in the scene the W's comfortable setting allows you to do just that. Perch yourself by the fire pit, or cozy up to the bar. Sip your pick of the W's sensational libations or play one of the board games provided with an old or new friend. They are open from Monday to Friday at 3pm to 1:30am, Saturday 1pm to 1:30am. 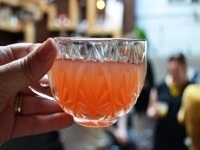 From a quiet drink in a cozy MA lounge, a private function celebrating a birthday, engagement or hens, or team building at their cocktail making class, the friendly Back Bar team will take care of all the details to create a night you’ll remember. Back Bar has a happy hour from 5-7 pm Tuesday to Saturday and 5-8pm Sunday with special drink prices on domestic beers, house wines and champagne, basic spirits and cocktails. Take a walk from the alleyway, through the door featuring the handmade 81/2 x 11 sign that simply says Back Bar, down the elementary school-esque hallway and through the unmarked door into the dimly lit room buzzing with cool to enter Back Bar. There you'll be met by a smiling face wearing a prohibition era outfit (gray pants and matching vest, light colored shirt and red tie)., who will guide you inside. Come after work to enjoy a drink and a fine meal in elegant surroundings, complete with expert service, linen-covered tables, and the best views in the city. Strains of jazz music provide an excellent backdrop to the lovely scene set before you. Be sure to have a reservation. A crowded night could have you turned away before you make it to the elevator. The view is absolutely gorgeous, they are about 60 stories up! The Skywalk, located on the 50th floor, accommodates private functions for up to 500 people. Both levels offer breathtaking, panoramic views of the Boston skyline and beyond. Live jazz is featured, nightly, in the popular bar and cocktail lounge of Massachusetts. 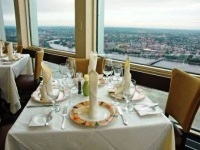 The landmark restaurant and bar, with refined club-like ambiance, is located on the 52nd floor atop the Prudential Tower in Boston, Massachusetts. Classiest Bar in Boston. When you walk into the Oak Room, you feel like you've walked into the 40's. It's a total throwback with the wood paneled walls, ceiling fans, and waiters in vests. It's always fun to take someone who has never been. Most beautiful bar in the world--huge arched mirrors, marble and brass bar, statuary, an amazing ceiling. That said, and proving that you can spend five million dollars on a restoration and still get yahoos for. This is a great lounge in MA! The dimly lit corner bar of the Charles Hotel where sultry cocktails and snacks are served to you in a comfortable setting. This bar may be a tribute to film Noir, but the only crime drama here is that everything is a little too good; making it difficult to leave without just one more drink and one more snack. Noir has a seasonal patio that is the perfect place for people watching. Come bird-and-bee-time, however, it’s a swell place to sit outside with a martini and a clove cigarette, looking all dark and mysterious. Great place to end the night. Noir primarily is a great bar to end an evening of bar-hopping or after a late dinner. 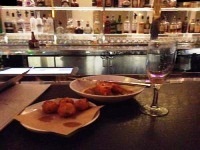 Their drinks are consistently good and the staff is always courteous if not outright chipper. It's a lot more than you would have ever expected from a MA lounge. Such a cool bar with a great atmosphere. Very roomy. An old school brand of cool pervades at Lucky's Lounge. From the lounge music, to the old photographs, it is not hard to recall the days when the Rat Pack was all the rage and being hip meant something far more than it does today. Be prepared to stay a while because once you enter you won't be eager to leave. Not quite hidden on a less populated corner of Congress St it can be easy to walk right past Lucky's. Be sure to have your GPS set to find this gem of a lounge in MA. Their bar food is excellent, especially their sliders. A sizzling, Sinatra-flavored, subterranean lounge heats up Fort Point Channel with swing bands, beef sliders and retro cool. 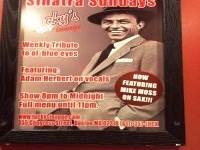 Lucky is open from Monday to Friday at 11am to 2am and on Saturday and Sunday at 10am to 2am. Conveniently located in the neighborhood of South Boston, D Street and West Broadway. The Liberty Bar, Highly recommend it! It holds court in the center of the Liberty Hotel's rotunda. Bright and open with room to linger, guests can either be seated at one of the banquettes, stand around, or get comfortable on a stool at the bar itself. A hot spot for locals looking to be where the action is, but away from the newly legal, the Liberty Bar sees some of the sexiest in the city. A small bar menu is available and many house-infused liquors are used in the cocktails they so expertly craft. To ensure a table email for a reservation, and when the MA weather permits, move yourself to their outdoor lounge-the Yard." The type of people you encounter also makes a huge difference, very polite, well-educated individuals. The Liberty is definitely a place that people go to see and be scene. Girls will be wearing Louboutins and guys will be in suits. One of the best parts of this hotel- convenience/access. The hotel is located directly across the street from the Charles/MGH T stop, and near Storrow Dr to get to 93 or west toward Mass Pike. This swanky lounge in MA has a sleek interior that caters to the upscale crowd that can easily saunter in post work for a craft cocktail. Julep Bar puts an emphasis on, "the art, science and craftsmanship behind impeccable cocktail creation". Allowing you the chance to sample a simple classic or a surprising new something. Sit back and relax and explore your drink options. This is a good spot to replace your regular drink with something adventurous. Located in Boston's Financial District, Julep Bar is an upscale bar and lounge where casual sophistication and vintage glamour effortlessly mingle. They are at 200 High Street between Battery march and Atlantic Avenue. They are across the street from the International Place Towers and the Boston Harbor Hotel. Parking is available at 1 International Place Parking Garage. Entrance on Atlantic Avenue. There are 800 secured parking spots and it is located across the street from Julep Bar. The Cantab presents itself exactly as what it is. 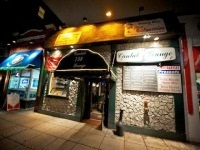 Cantab opens at 8am and closes at 2am. Friday and Saturday nights tend to have great music and are fun. Next door is ABC which for is now open till late. 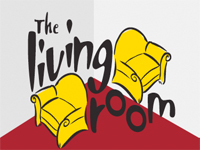 Whether you are deciding on going out for a date, or a casual hangout with your family or meet your corporate clients, The Living Room, has everything to offer to you at the most affordable cost. The have the capacity of seating for 72 people and 150 people for the hors d’oeuvre and cocktails. 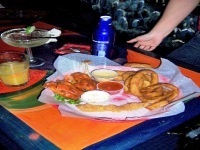 They do offer Happy Hour specials, Monday night specials, and board game night in their bar. 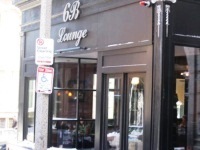 Their bar is one of the most furnished bars in Boston and they arrange this Trivia Game every Tuesday from 8-10pm. The bar staff is friendly, it's a good place to just stop and grab a drink late at night. The lighting is dim with cool accent lights, the area is huge. It’s an old 3 story factory that was converted into a huge adult playground. Big bars, tons of pool tables and bowling allies and an arcade are found here. It is a nice spot to go to with friends or just with your date for a unique night with many different activities all under one roof. Jillian's is a one of a kind place. The great thing about Jillian's is soaking up the bar scene or heading upstairs to play pool, or snag a lane for some glow in the dark bowling. Check put this MA lounge. 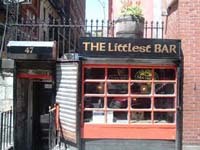 The name says "Littlest" but it is not a small place at all. It is a good size with a large bar with plenty of seating as well as tables lining the perimeter. There is a good selection of cocktails, wine, beer and pub grub. Originally on Province Street in Downtown Crossing with origins dating back to the 1940s, The Littlest Bar has reopened in a new--and slightly larger--location on Broad Street in the Financial District. It's off the beaten path and away from the crowds of tourists. Relax and enjoy a beer; without all the masses. This place is a perfect pre dinner drink place or place to wind down the night. The new spot is covered with old-school memorabilia including photos and a letter from former Boston mayor Ray Flynn. On the old tip, they've got the usual Irish suspects on tap and the original soft finished pine bar. Make sure you visit this MA lounge! 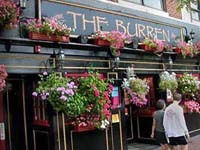 Go to the Burren in Davis Square in Somerville. It is truly like stepping into a pub in England (and Ireland too). Up front is the traditional Irish music and the bar serves more types of beer anyone can imagine. Very popular place with the locals. There are live bands every night, sometimes even directly from Ireland with lots of stone structures, making the pub feel authentic. 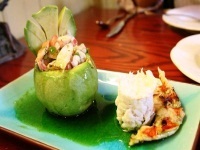 Food from their lunch menu is served up until 5 pm when they switch over to their dinner menu. Try their Guinness Beef Stew for dinner -- excellent! The Burren is a nice MA lounge to hang out at, located in Somerville (Davis Sq). Individual booths and oversized seating make this a sweet spot to nestle in for a drink and some great food from the bar menu. Sandwiches and burgers are good options for lunch, or try appetizers in the evening. 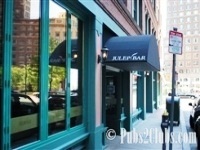 It is the place to be for the BEST nightlife and the most delicious martinis in Boston. After a hard days work, when you are looking for some good Irish fun or an upscale cocktail, check into the 6B pub. Enjoy quiet conversation, watch a sports game or drink a pint of dark beer into the wee hours. Expect Irish undertones, but also expect anything from American bar food to something for the eclectic eater. The menu includes nachos, fries, burgers, but also offers baked brie among other delicacies. With a casual atmosphere, and room for private parties, the 6B attracts a wide variety of people looking for a place to relax and socialize. Small, tight, friendly bar with a good atmosphere and A GREAT beer selection. ONGOING: Taco-Licious Tuesdays, Lager and a taco of your choice. All tacos are served on a flour tortilla with cilantro, tomato, sour cream, and jalapeños. Bukowski's is a dive, but in a good way. The book categorizes the brews and explains the types and brew process. They have very hard to find selections and they are fresh, not like they have been on the shelf forever. The tap selection is strong as well. It may look like a dump to some and it will seem out of place in the upscale area it is in, but it is a treasure. Open daily from 11am to 2am. Make sure you check out this unique MA lounge. Planning a Bachelorette Party? Don't want to leave the boys behind? 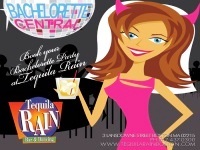 There’s nothing like a Tequila Rain Bachelorette Party…with its convenient location on Lansdowne Street and your favorite top 40, hip hop and rock, Tequila Rain offers the best party atmosphere north of the border. Tequila Rain lets you party like it’s Spring Break 52 weeks a year. Tequila Rain is NOW scheduling Jack N' Jill Co-ed Bachelorette Parties on FRIDAY nights! All parties are required to arrive as one group before 11pm, all guests must be 21+ with proper identification. Party reservations do not include table/seating area reservation; all tables/seating areas are first-come first-serve. Make sure you check out this MA lounge for a great time. When you walk in the door, you're hit with this glam/retro/divey/1920s vibe. The word that comes to mind when hearing of Cuchi Cuchi is "memorable". The décor is fabulous and so different, the feeling is like another dimension. The house caters the best cocktails and is surely devoured and LOVED by guests. The way the Staff is dressed is really fun and the music is also great! They have these interesting mannequins dressed in '20s era clothing just dangling from the corners, which can’t be seen in any other restaurant. Suffice it to say this restaurant is unique just for the décor alone. This MA lounge is open Monday to Sunday from 5:30pm to 11pm. 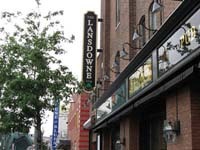 We bring to you, The Lansdowne, a popular MA lounge. It is their pleasure to bring to you the combination of centuries of Irish culture and Boston heritage with a little Lansdowne Street flair. What the street has always been missing. A place where the community can come together to celebrate and relax. For centuries a major part of Irish culture and community has been the Publik House. Every town in Ireland has their own pub, a meeting place in which members of the community can gather and relax, celebrate, and bond over a pint or a song. The atmosphere within the walls of Irelands pubs is what makes them so famous around the globe. 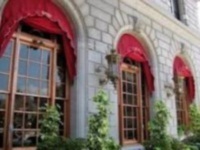 For over a century the city of Boston has been rich with Irish tradition and heritage.